Classic combos for asparagus are melted butter or Hollandaise, but though once a fan of this elegantly simple partnership, I am beginning to find it rather cloying – so I’m more likely to dress the warm asparagus in a vinaigrette and eat it warm or cold with a little Parmesan. Grilling is good too – but it’s best to grill without drenching the asparagus in oil first – this is likely to burn the oil and give a bitter after taste that is difficult to shrug off. Wrap it also in Parma ham – and bake (having first par boiled the asparagus) sprinkle Parmesan over before baking. Another classic pairing is asparagus and eggs, either in a mouselline, omelette, quiche, or as I have done here with soft boiled egg – the egg could also be poached. If a runny egg is a little too gloopy for your tastes, cook it longer. In fact, you can hard boil your eggs and grate it over the asparagus to make mimosa salad. Boil the eggs. The only way to be sure of cooking your eggs to perfection is to test one first. Bring a large pan of water to the boil. Place one egg in the water and time for 6 minutes. After this time put the egg in a bowl of cold water and allow to cool slightly. Peel the egg and cut in half, make adjustments for more or less time depending on how runny you want your eggs and cook the remaining eggs. Peel and keep warm. Cook the asparagus. Hold the asparagus at the base with one hand and halfway up the spear with the other and bend. The natural break will leave the tender portion of the spear. (Do try to coax the break as near the base as possible). Save the stalk ends for making an asparagus stock (to put into a risotto or a soup…). Fill a large saucepan (with a lid) with 1cm – 2cm salted water and bring to the boil. Add the asparagus and cook with the lid on until the tip of a knife can be pushed into the base with no resistance. Remove from the water and drain. Make the toast. Cut the bread and place on a hot grill pan, turn after a few minutes and ensure there are dark scorched grill marks. Drizzle olive oil over the bread and continue to cook. Remove when toasted and hot. Finish the salad. Wash and dry the rocket. Make a vinaigrette by whisking the vinegar, oil, salt and pepper together. 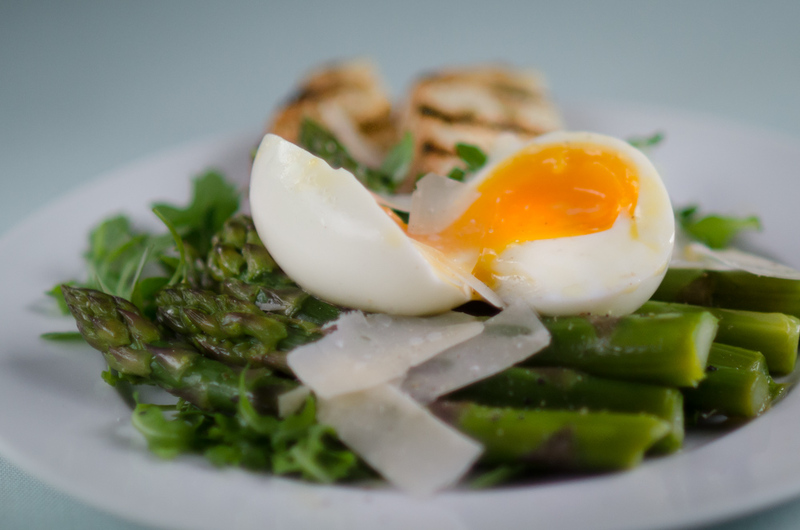 Place a small handful of rocket on each plate, divide the asparagus and pile on each plate, cut the eggs in half and arrange over the asparagus, drizzle over the dressing, scatter Parmesan shavings and serve with the grilled toast. Leo and his partner took Mr and Mrs WDC to Brasserie Zédel. 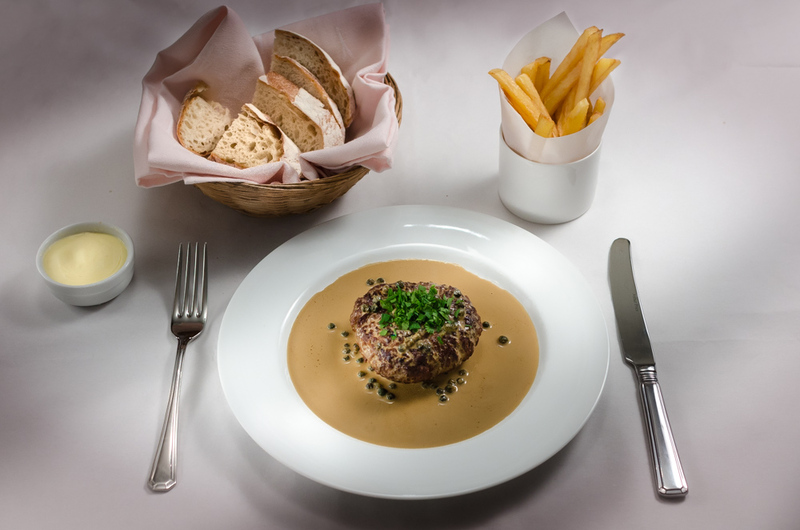 As so many people have commented, the hightlight is the steak haché. Here’s my version. 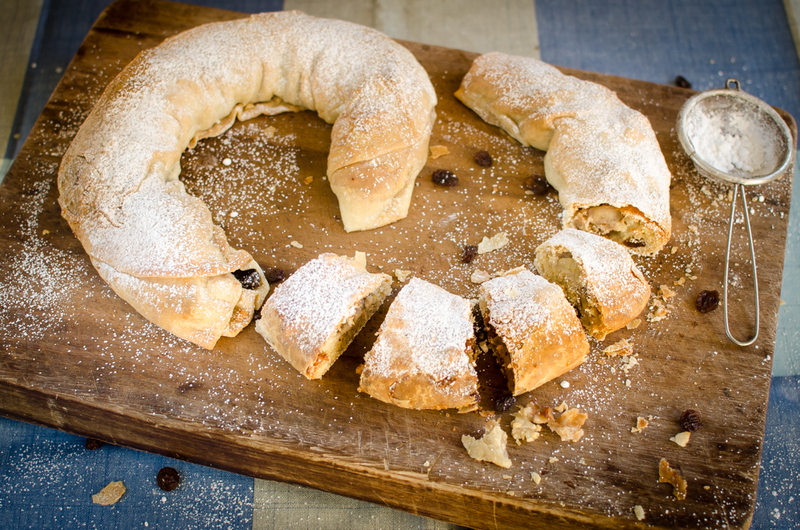 Apple strudels for the whole family to make and enjoy. The Italian tricolor? A caprese salad? But it’s not mozzarella – it’s tofu. 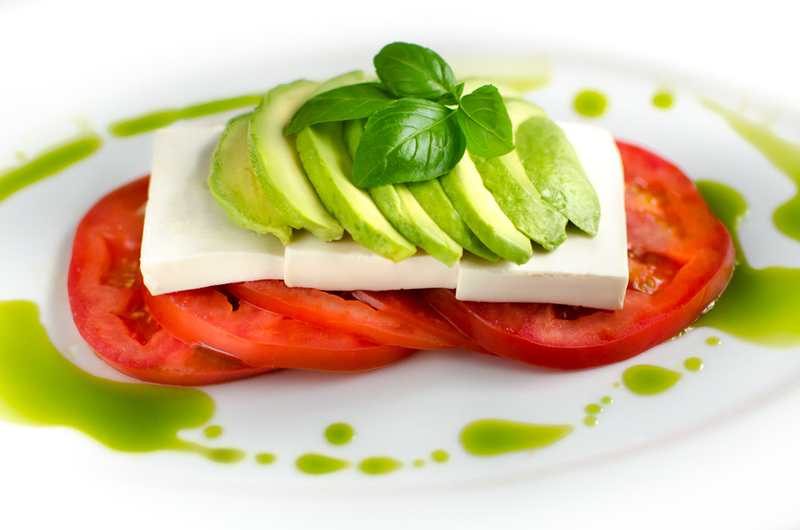 Tofu and avocado are a match made in heaven – so can the partnership be more inclusive ? Absolutely.